Given the fact that an estimated 10 percent of the internet runs on WordPress, the chances that your organization is either using it or about to use it are very good. Heck, you might even be running an entire network of sites, with a rich user base, entirely on WordPress – it can sure handle it! We admire WordPress ourselves and use the platform to run the mighty Zendesk website and our equally mighty blog, Zengage. We spend a lot of time in it, and you probably do too, which can mean you’re not as on top of your help desk’s activity as you should be. 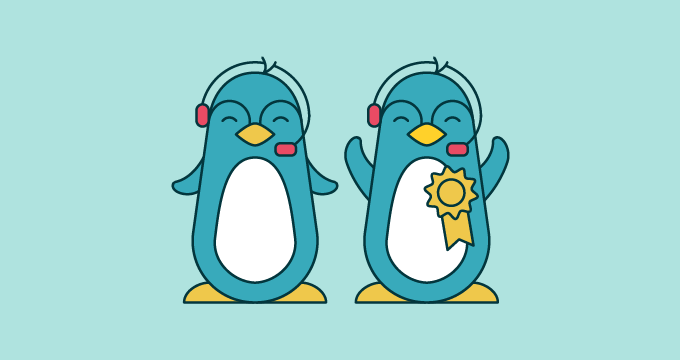 So we’ve designed a way to to bring some of the basic functions of your help desk to your blog with our handy Zendesk for WordPress plugin. You can now access the power of your help desk to respond to comments and keep on top of your support activity all from within the WordPress dashboard. Your blog is where your readers can weigh in on specific posts, engage in friendly debate with other commenters, and most notably, where they can ask you questions. Some questions can be answered with a simple comment response, but others would be better moderated by a support agent or someone else in your company. Think about it. Is your organization’s blog manager constantly tracking down the right guy or gal to moderate more technical comments, before they can go ahead and submit an appropriate reply? Not very seamless and hardly efficient. Some comments need escalation, attachments, or even private discussions between agents – all before a response comment can finally be delivered. Well now, you can take that comment and turn it into a Zendesk ticket. You can do all that with one click; the plugin will do all the hard work of creating the ticket! Now the agent will make sure the question gets into the hands of the right person and deliver the best possible answer. It’s not only more efficient, it’s a great way to ensure consistent information is being communicated across your site. 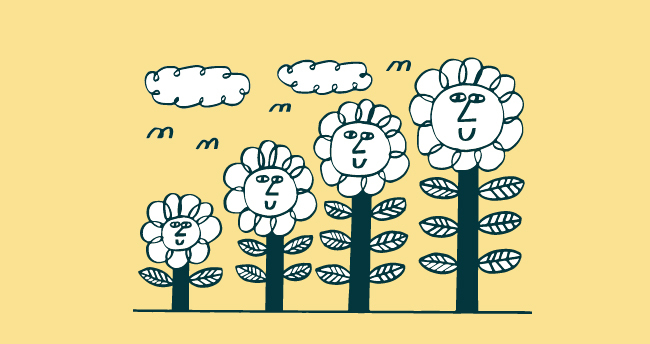 Have a thriving user base, but don’t want to import it into Zendesk? Don’t want your customers to use two sets of login details? No problem. With Zendesk’s remote authentication, we can piggy back on your user base, meaning we don’t need to ask your customers to register or login – we’ll handle all that tech stuff for you. It’s safe and secure. If you want to find out more about the technical side, checkout our remote authentication documentation. Your WordPress dashboard is your temple. From within it, you have an overview of everything you want to see about what’s happening right now with your WordPress site. 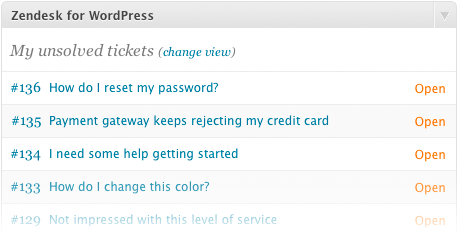 Add the Zendesk ticket widget and you’ll be able to access all the views and tickets you want. Stay in the loop. Including the Feedback Tab (formerly Zendesk dropbox) on every post and page (or where ever you’d like via a template tag) or display a simple contact form on customer’s dashboards. Giving customers more options to keep in touch isn’t a bad thing. It shows your customers you can deliver great, seamless customer service in a variety of ways. Read more about WordPress for Zendesk here.